invited to attend this networking reception with a catered dinner. Build a cohort of support with new and returning graduate students. Share and retrieve valuable campus resources. 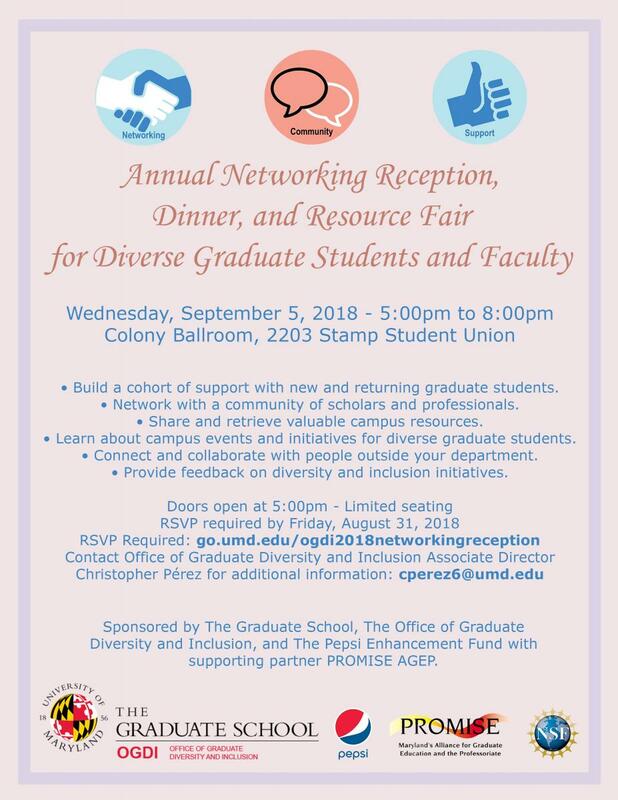 Learn about campus events and initiatives for diverse graduate students. Connect and collaborate with people outside your department. Provide feedback on diversity and inclusion initiatives. ~Salad~ Mixed Green Salad (Mixed Greens with Sliced Cucumber and Cherry Tomatoes, Carrots.